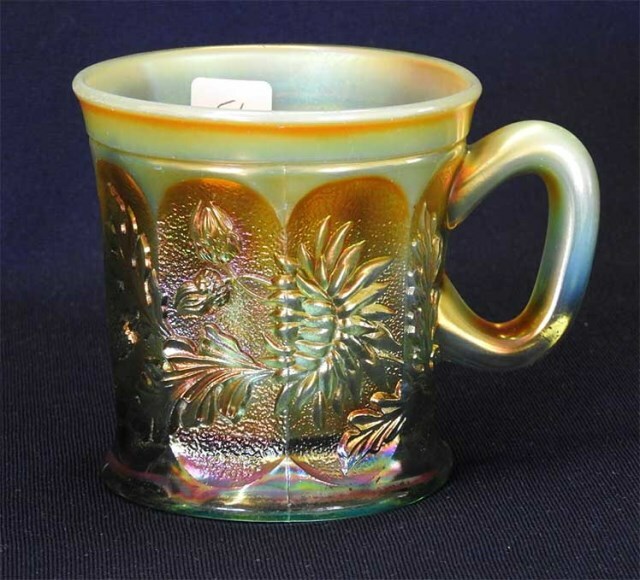 While this pattern has come to be called Dandelion, the flower is not a dandelion but more likely a sunflower. 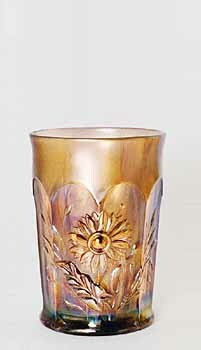 Shown above is the standard Dandelion tumbler: a variant, which sells for about the same price, has vertical ribs on the interior and is found in amethyst, ice blue, ice green and white. 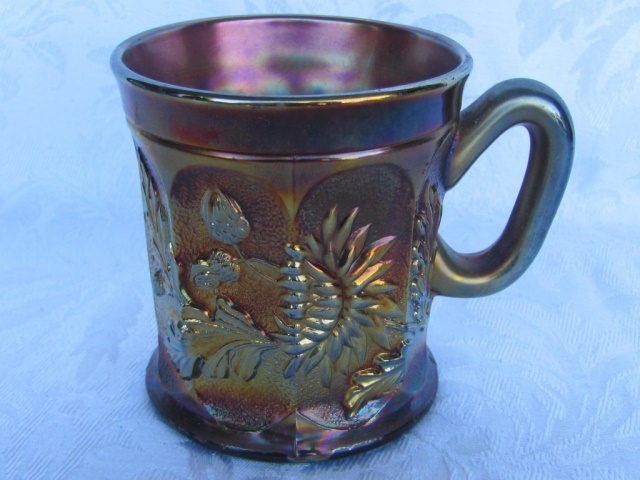 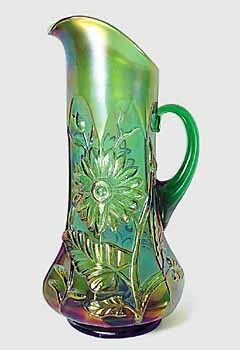 Pitchers are the tankard type. 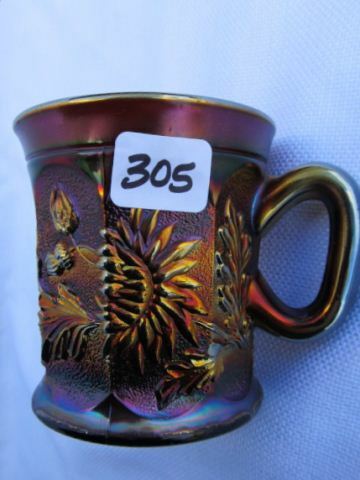 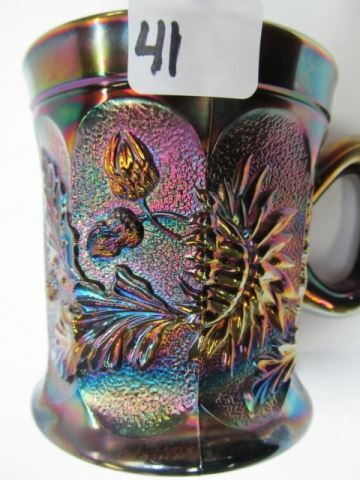 Not only is the flower on the pitchers and tumblers not a dandelion, but the pattern on the mugs is entirely different. 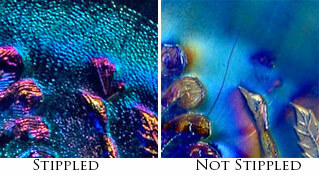 It also has a stippled background. 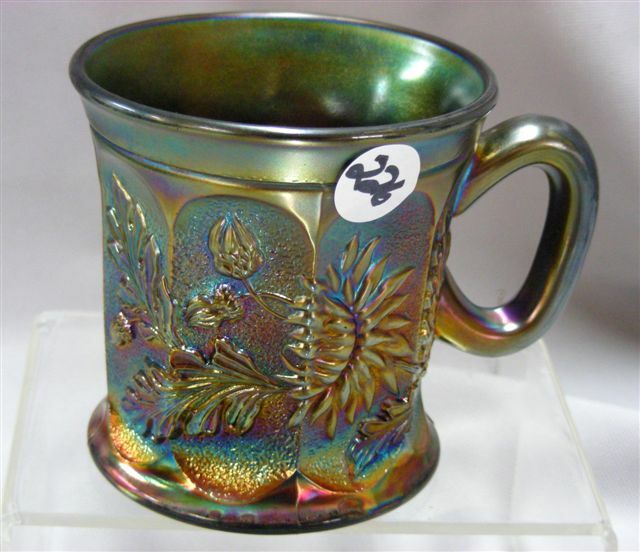 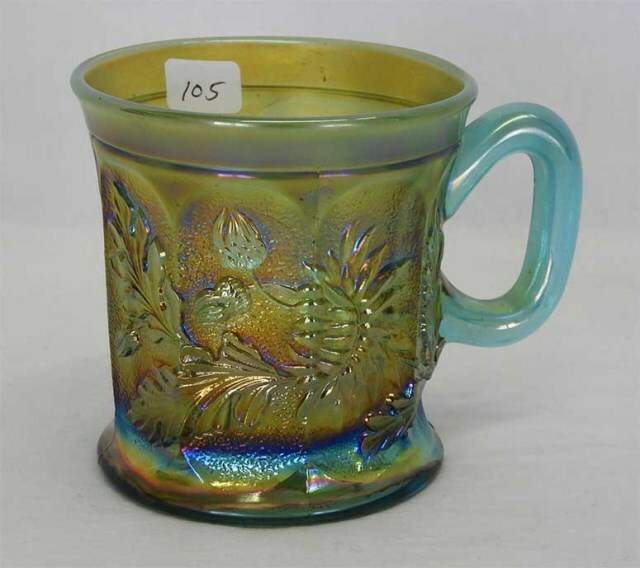 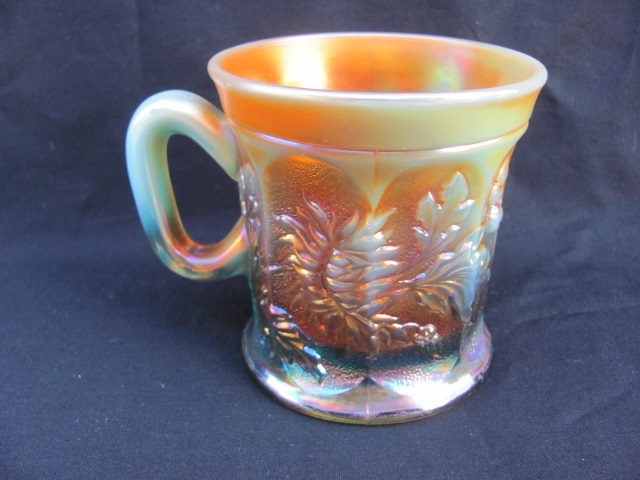 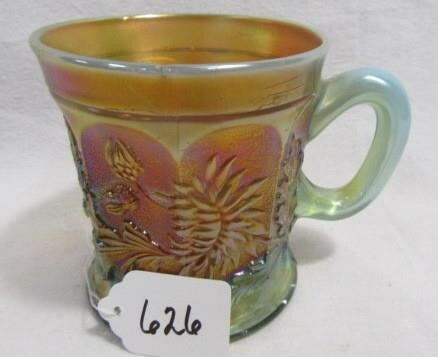 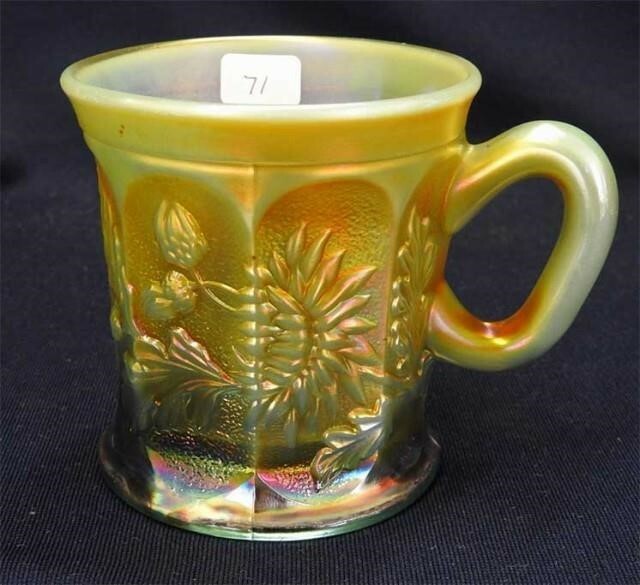 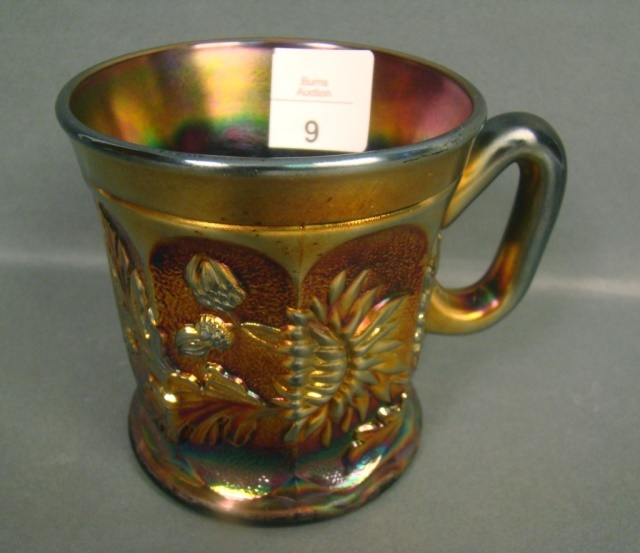 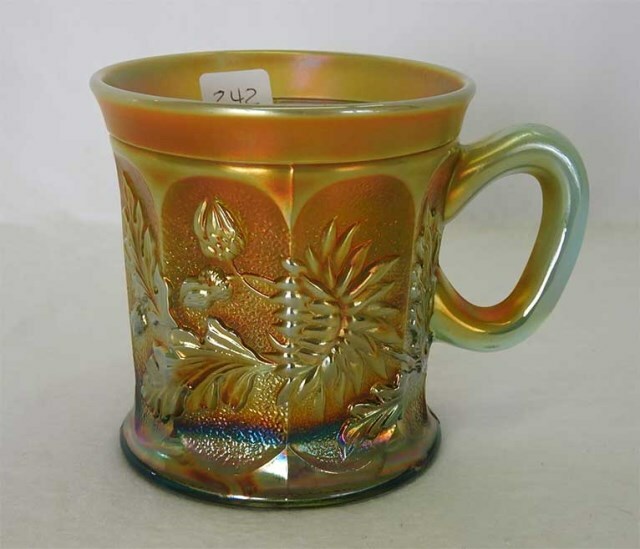 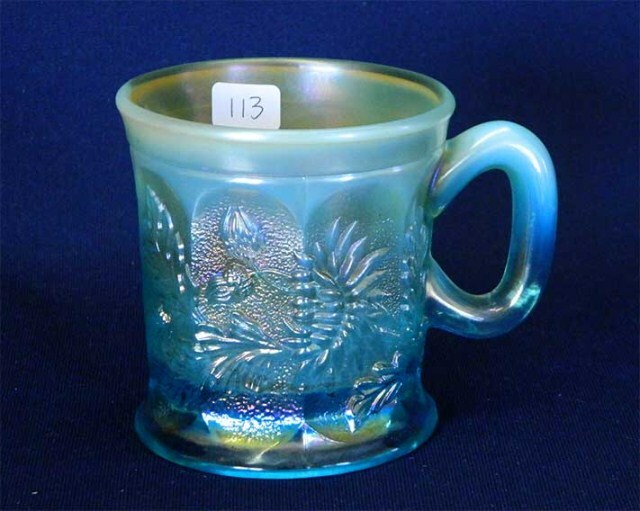 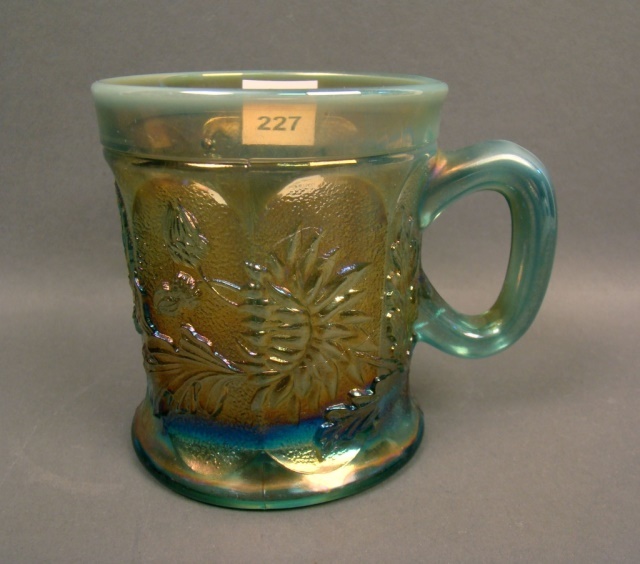 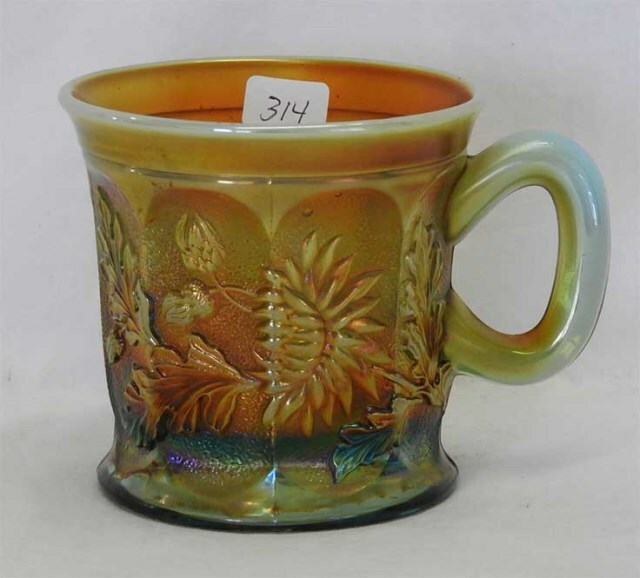 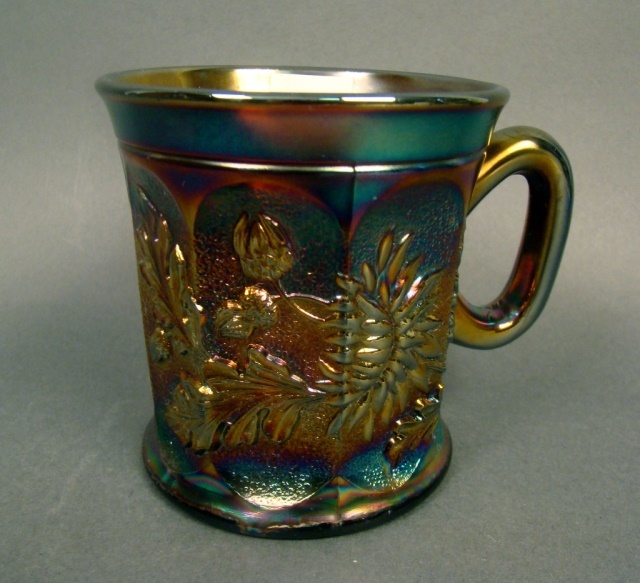 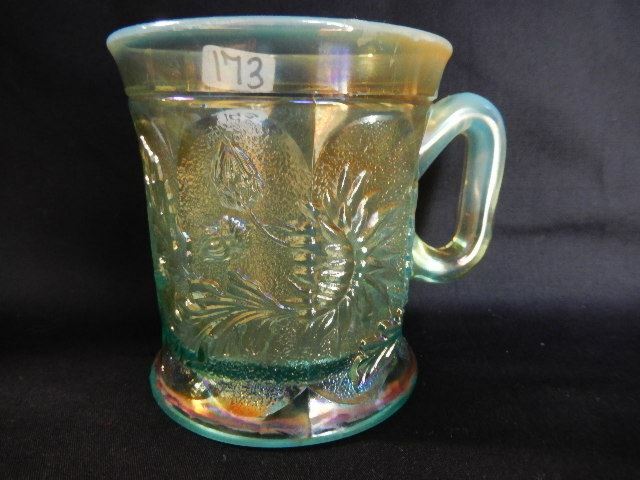 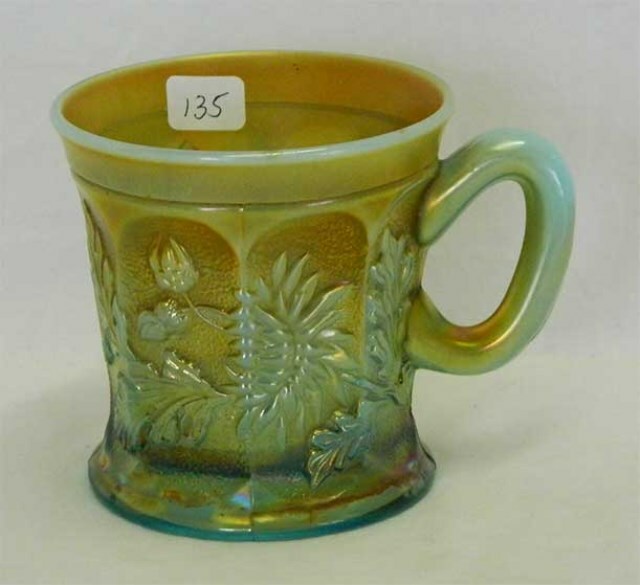 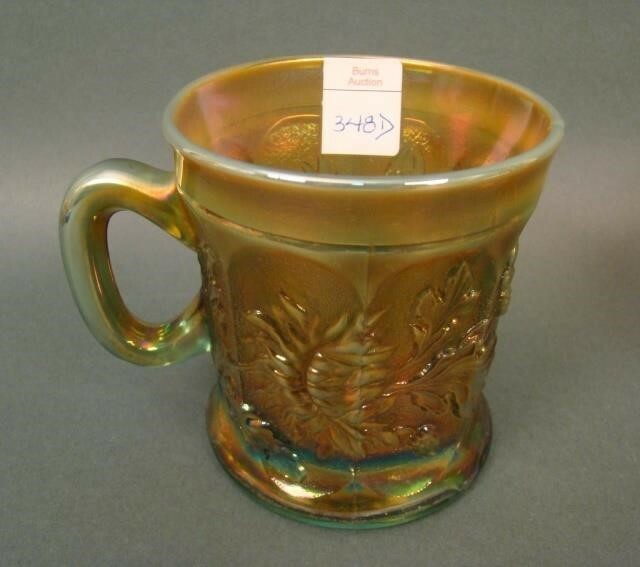 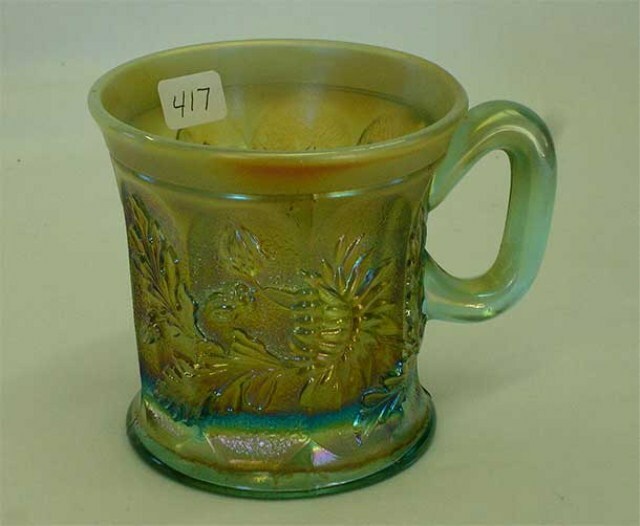 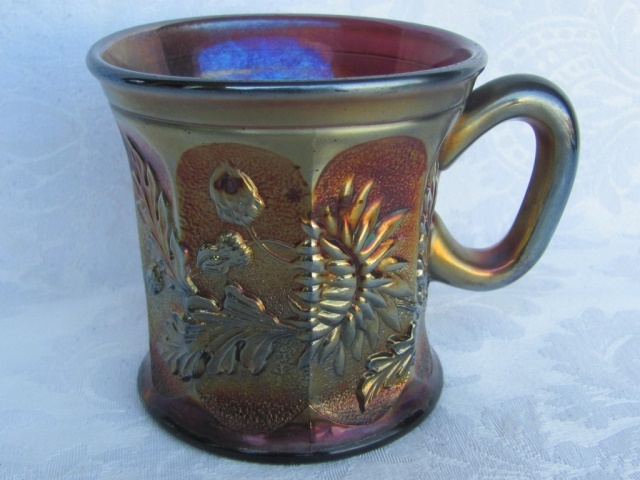 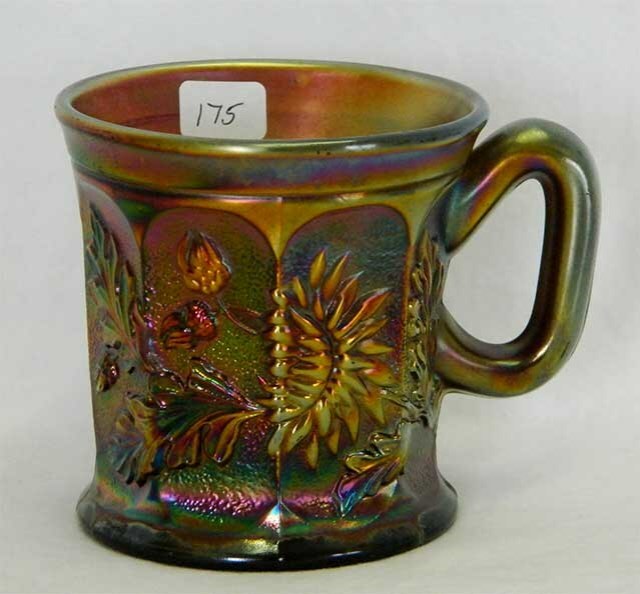 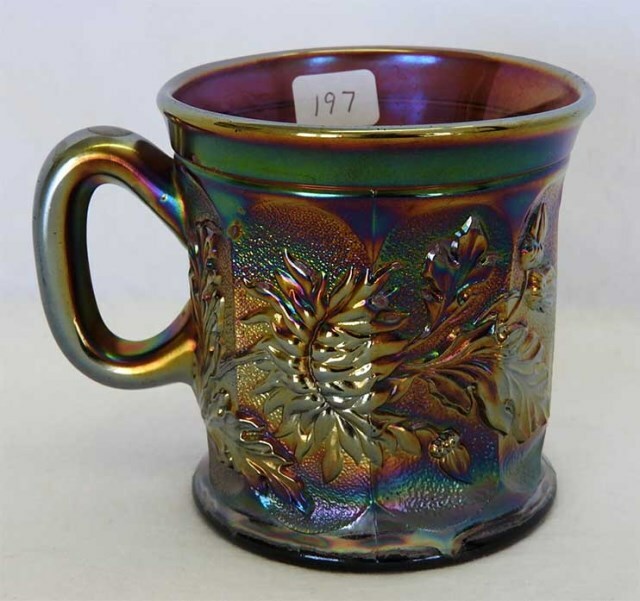 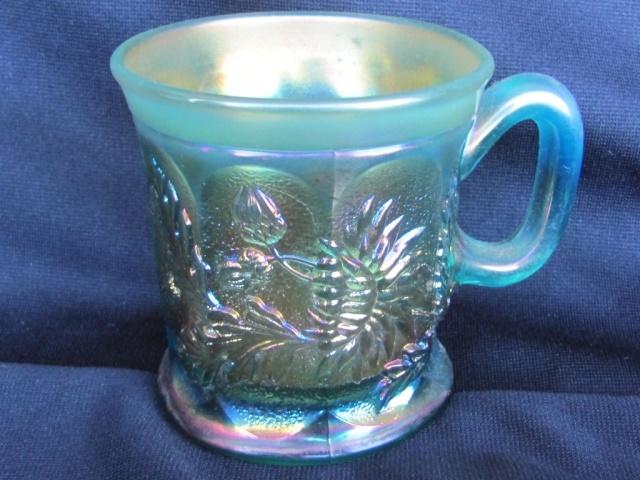 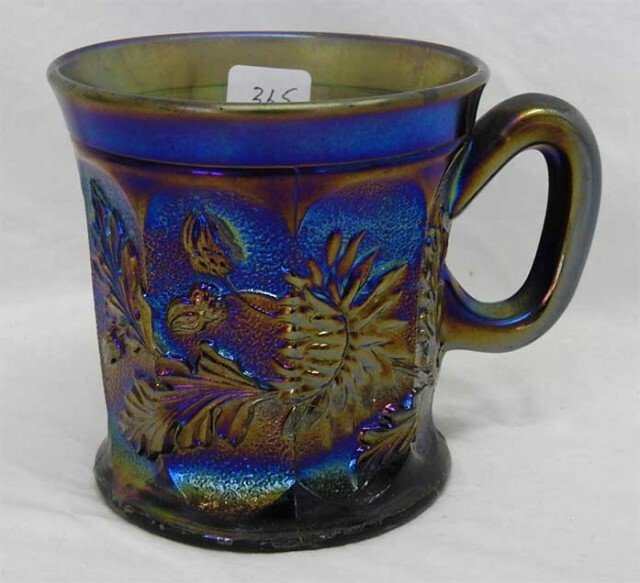 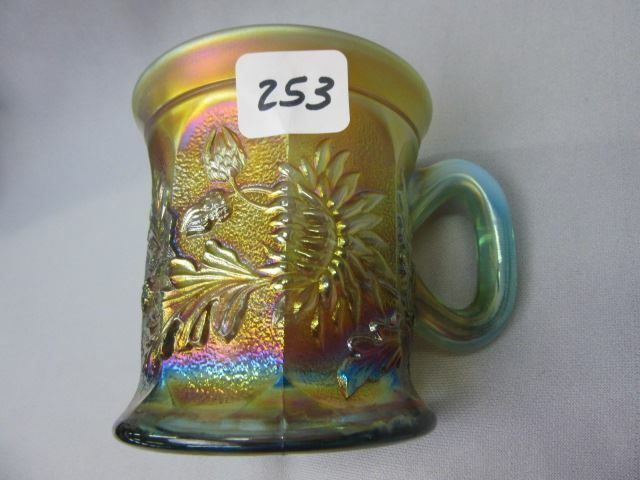 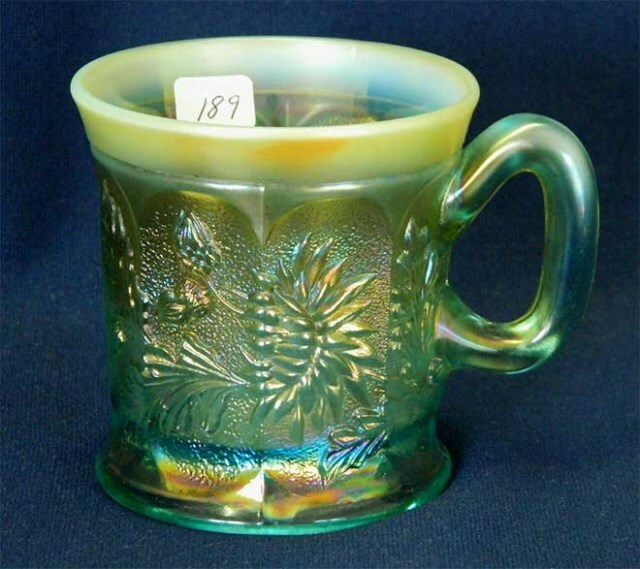 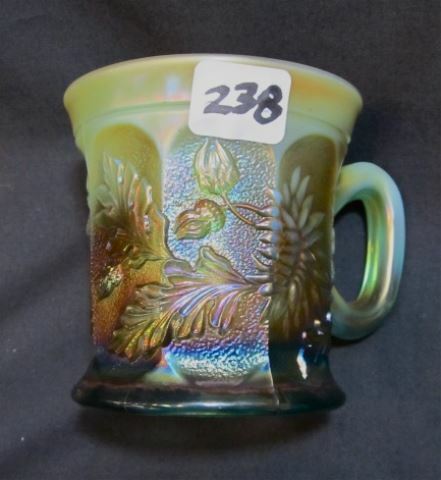 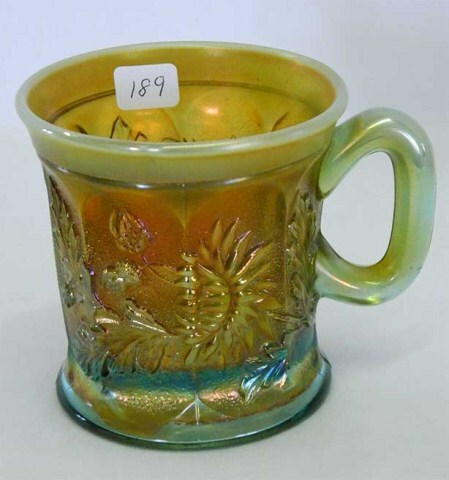 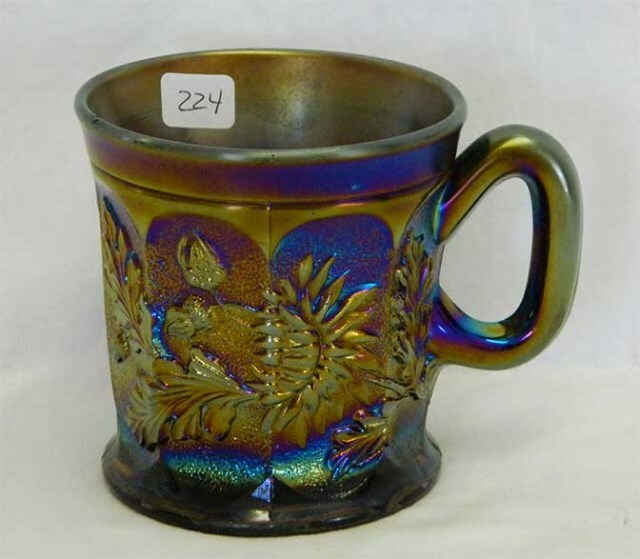 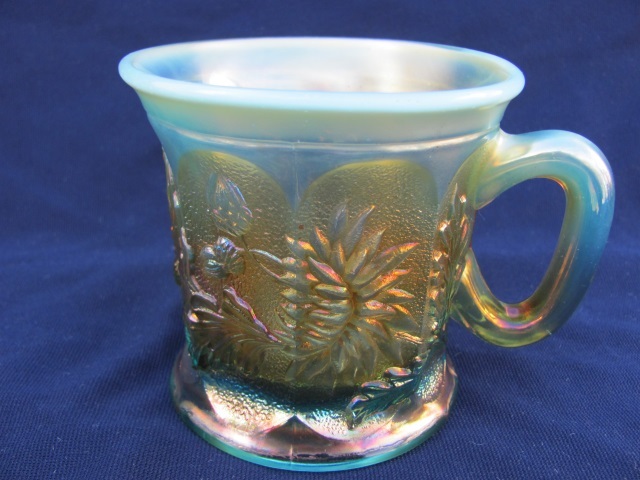 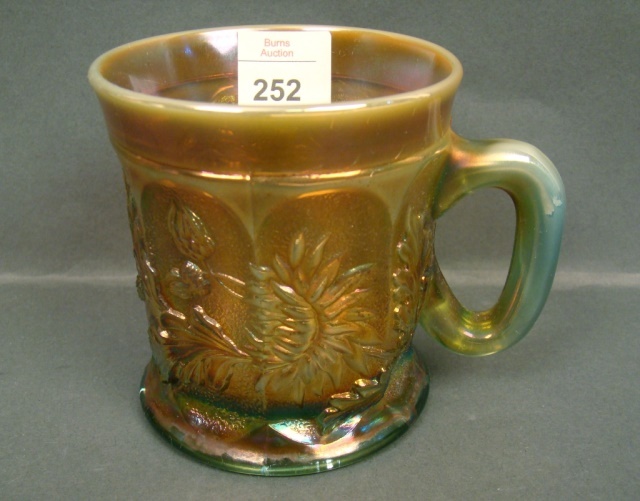 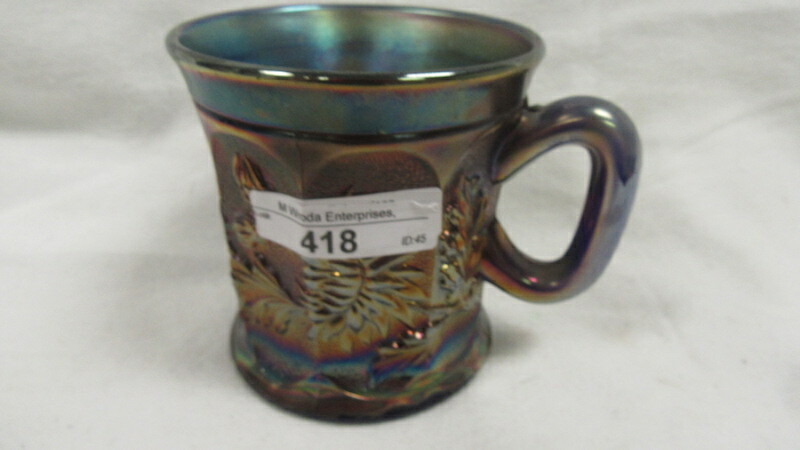 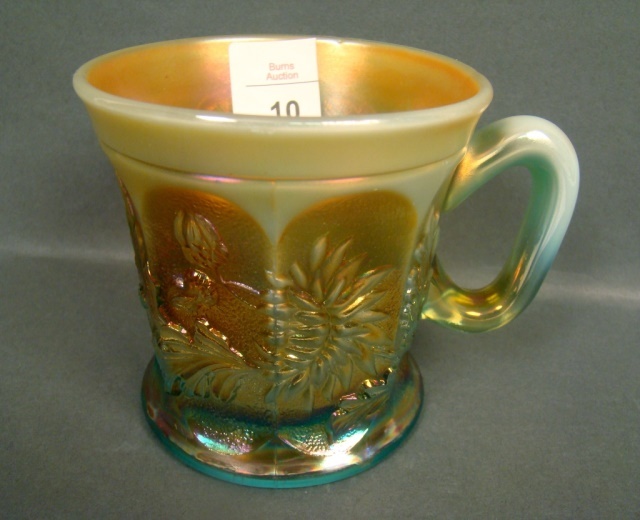 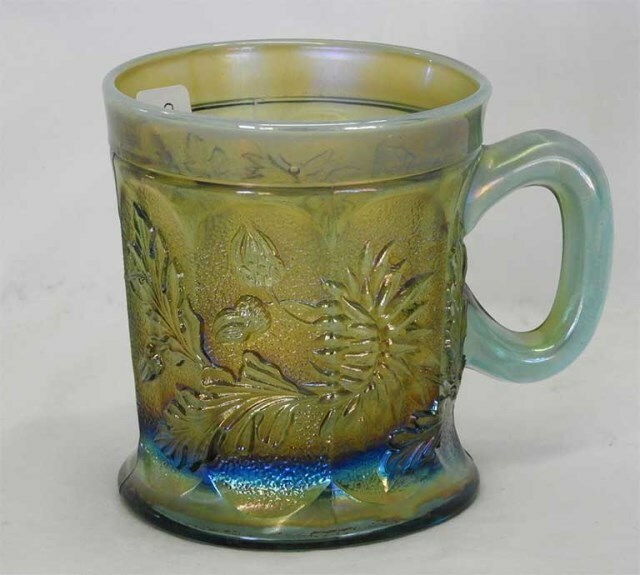 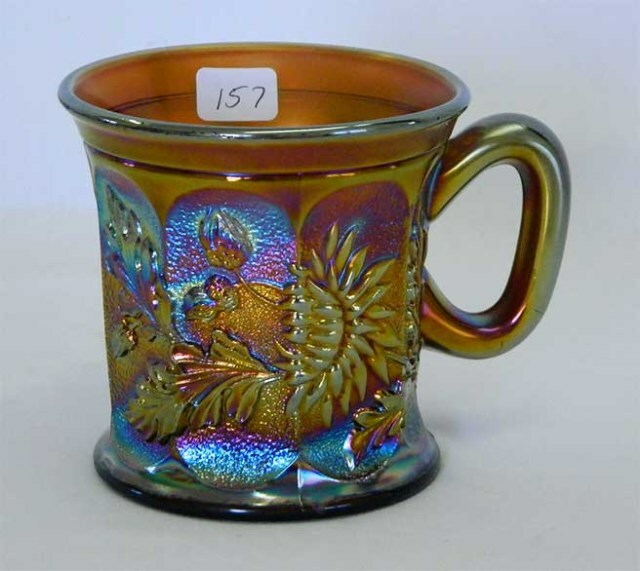 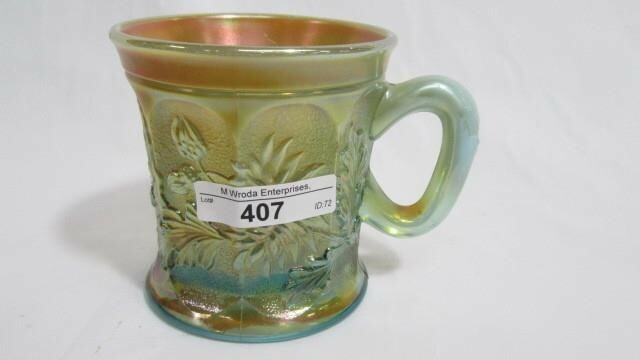 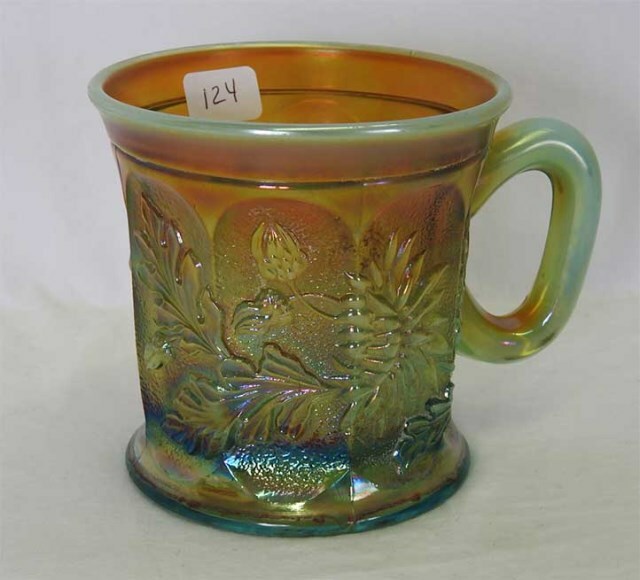 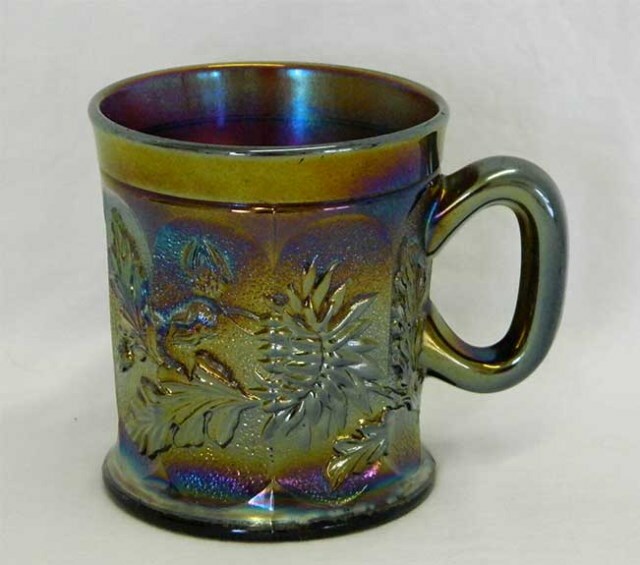 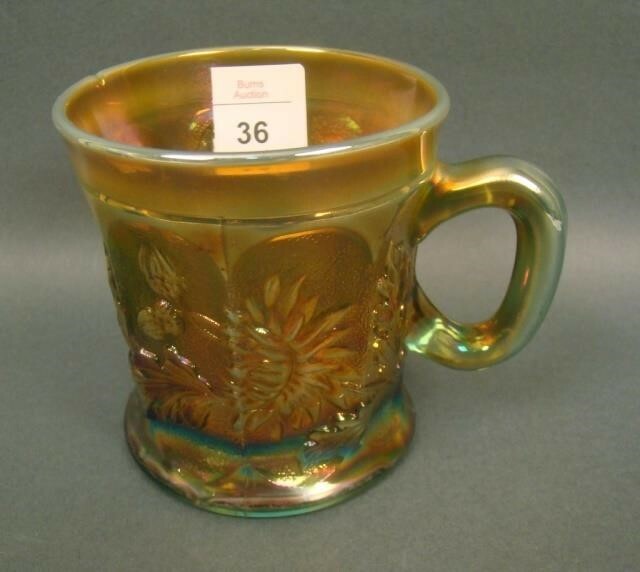 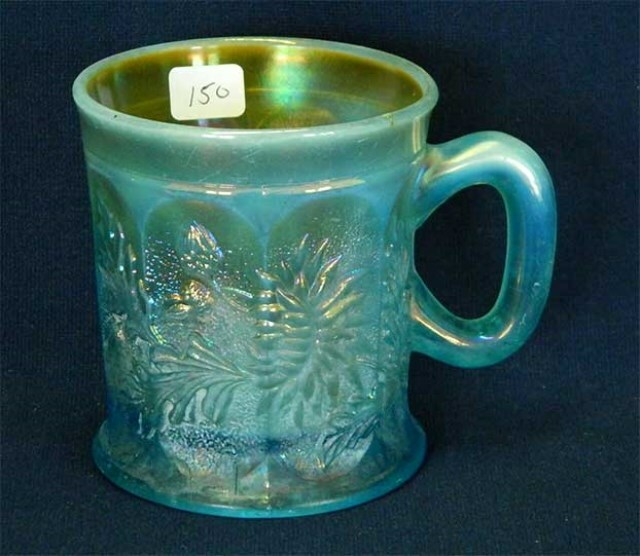 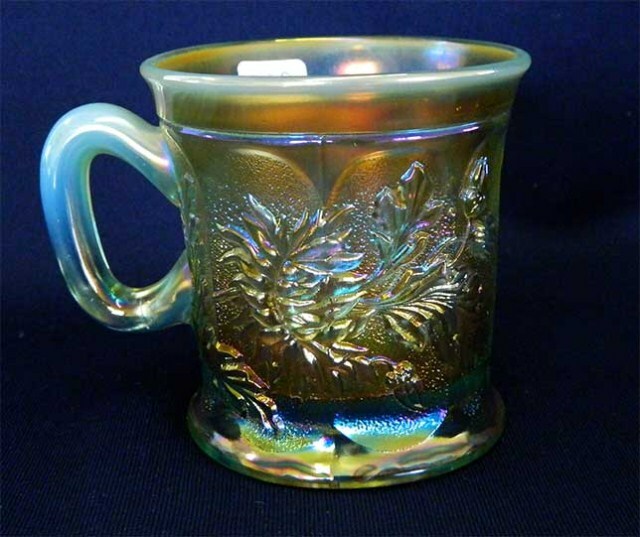 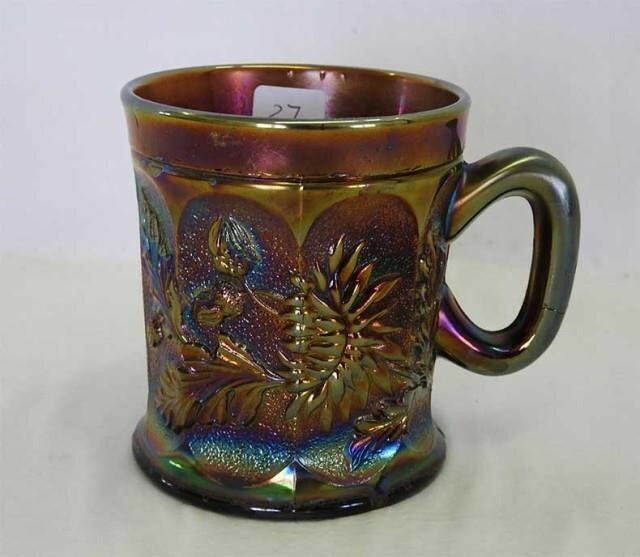 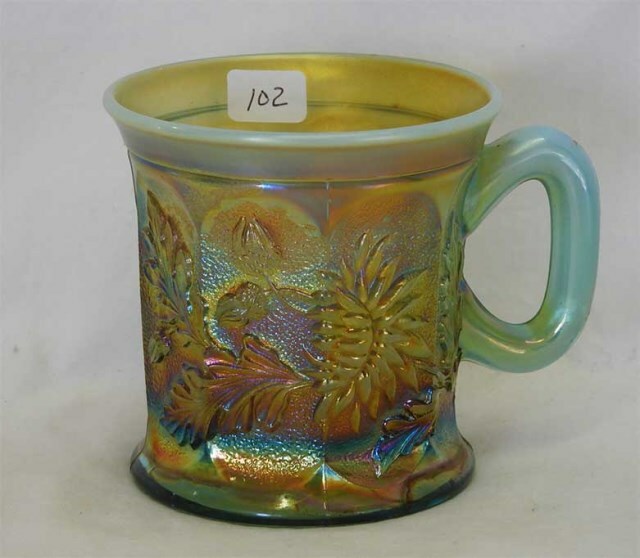 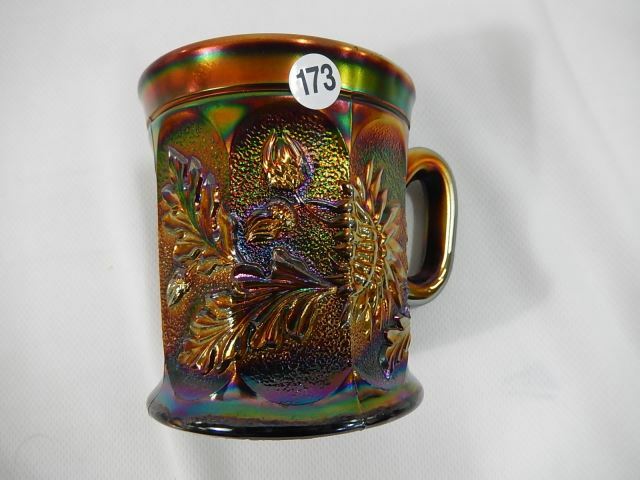 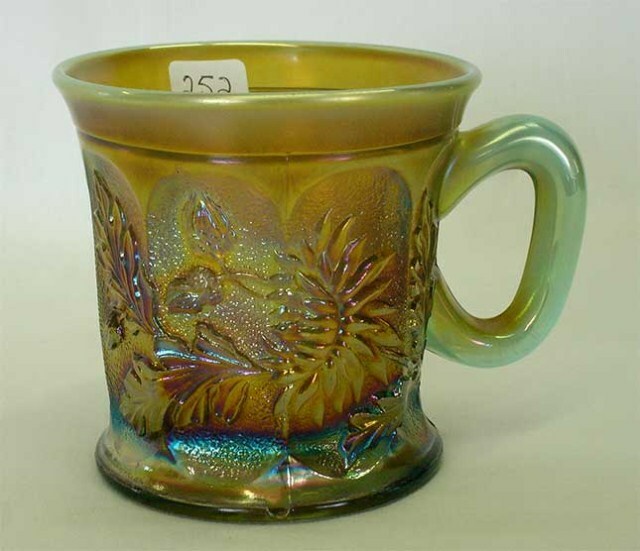 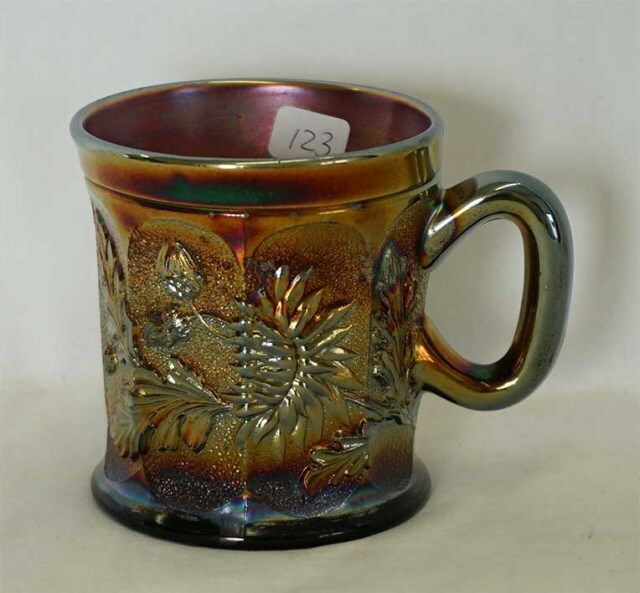 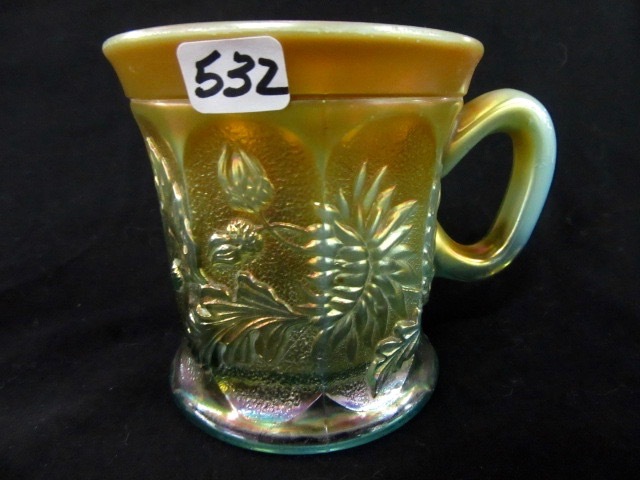 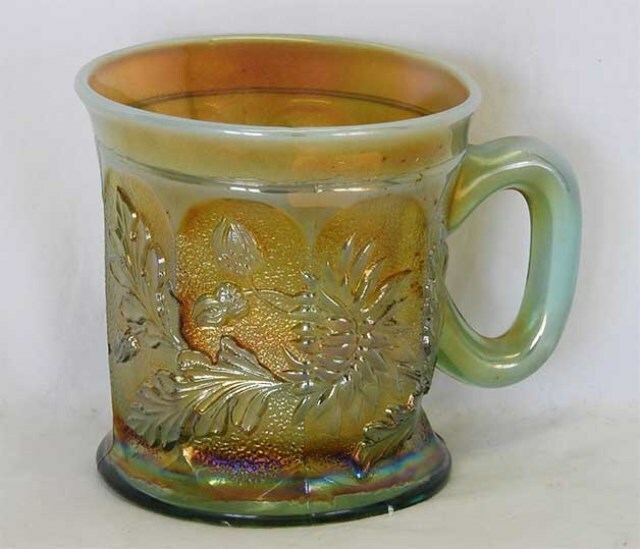 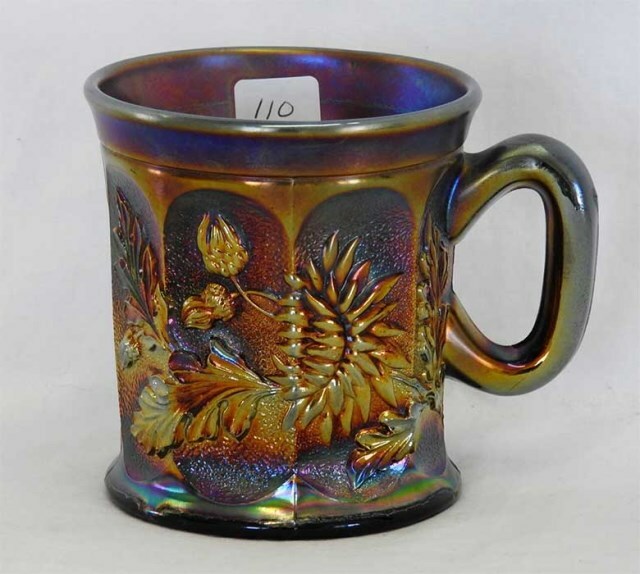 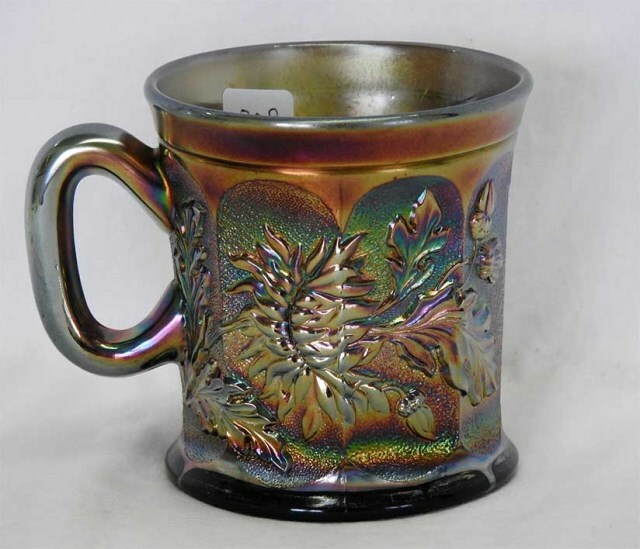 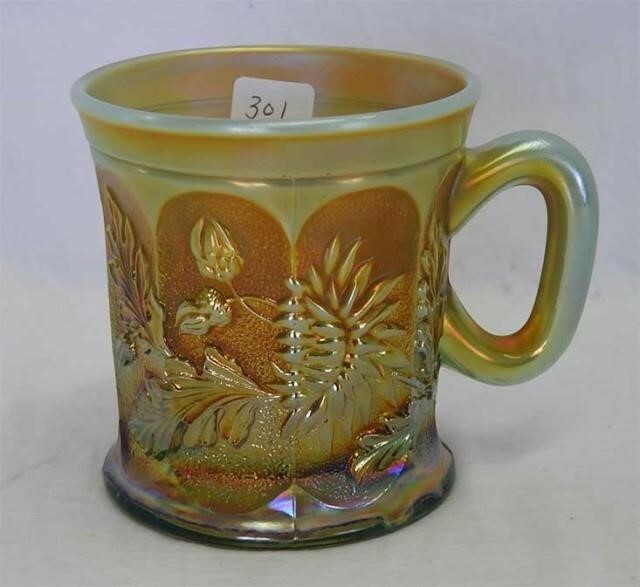 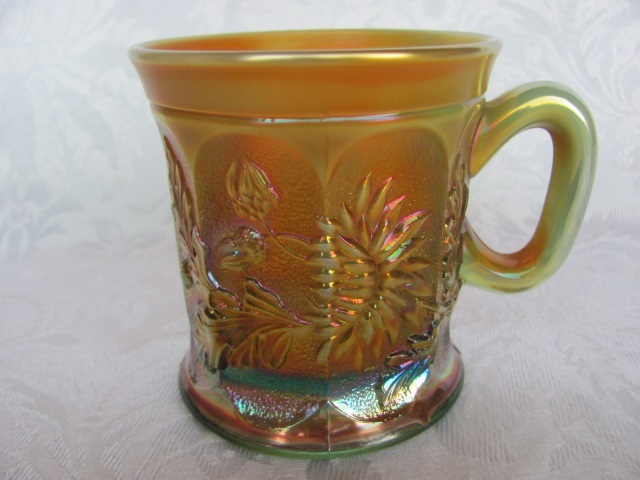 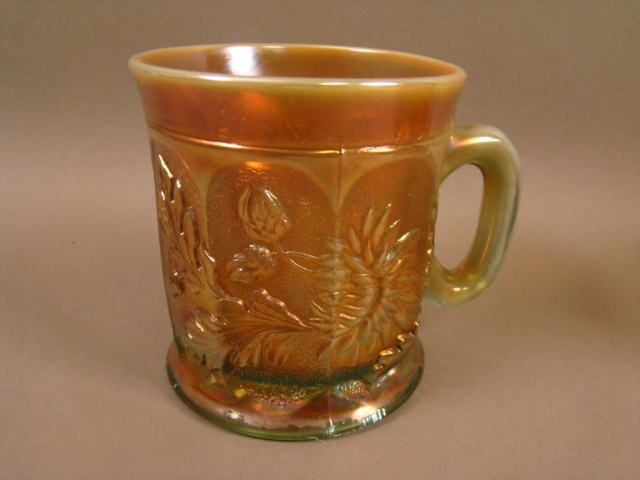 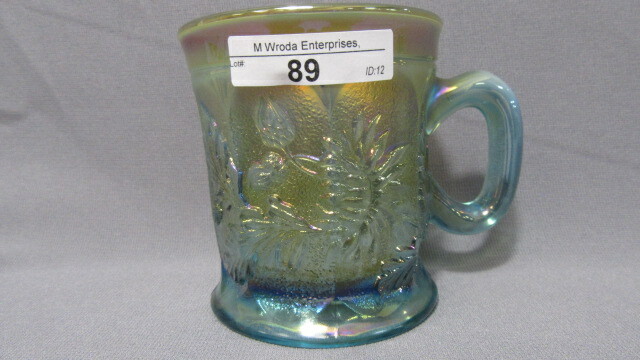 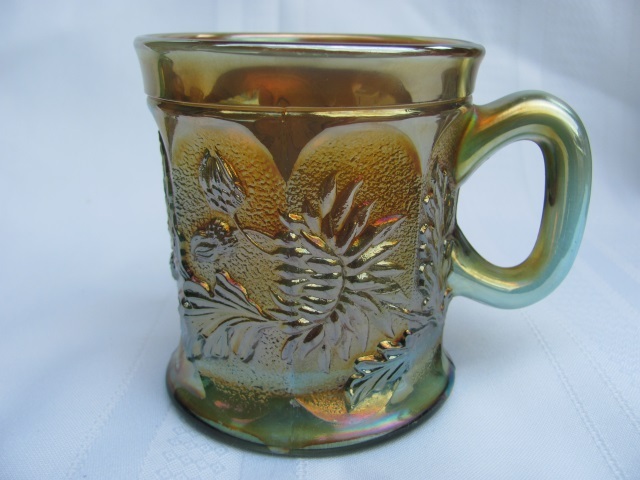 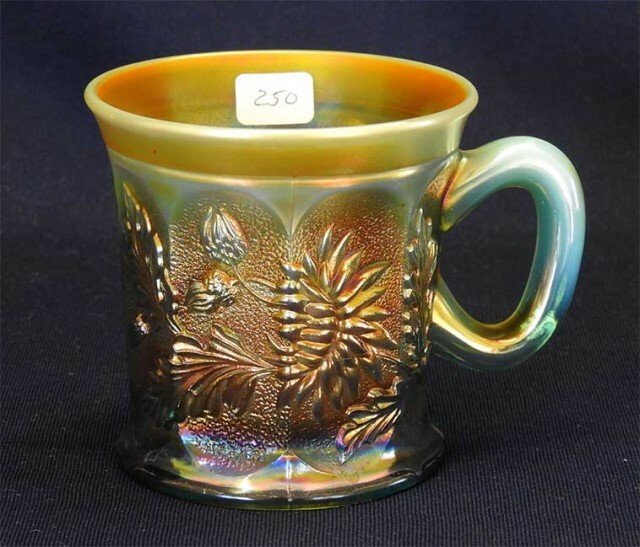 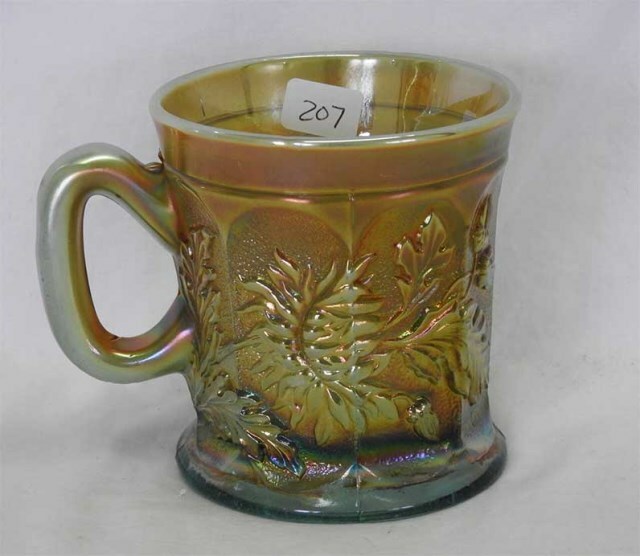 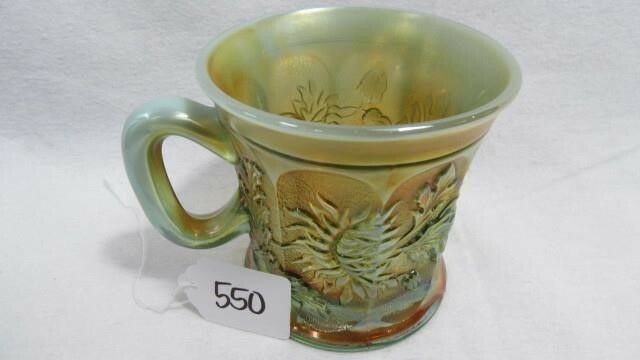 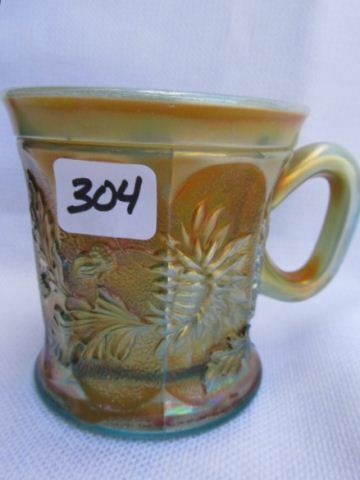 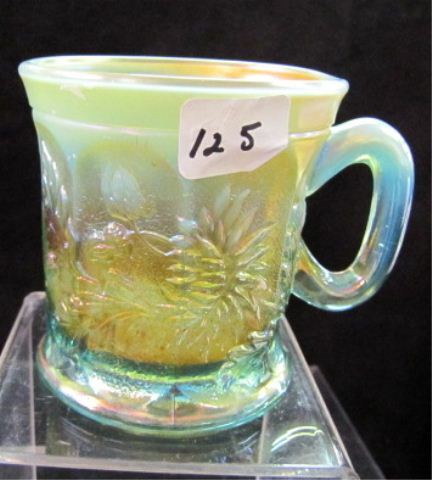 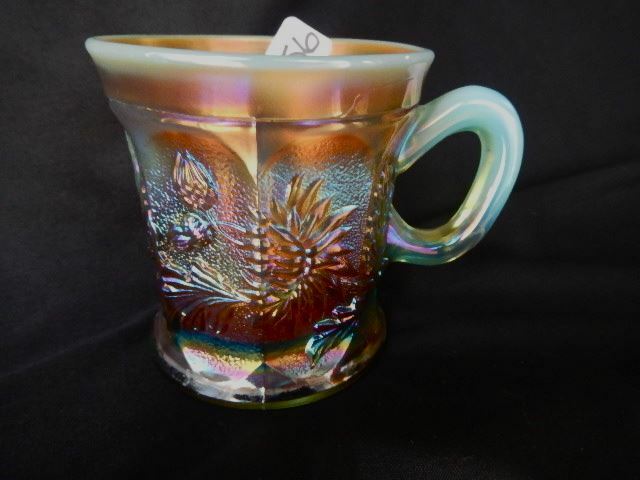 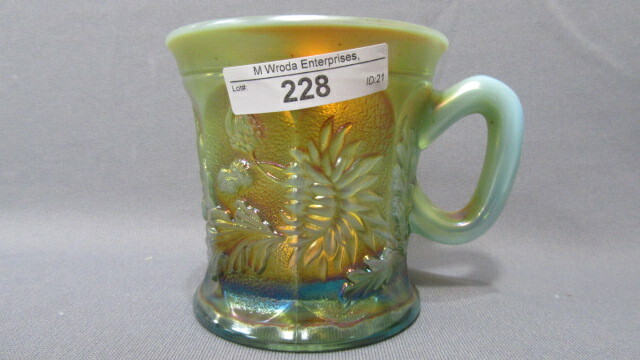 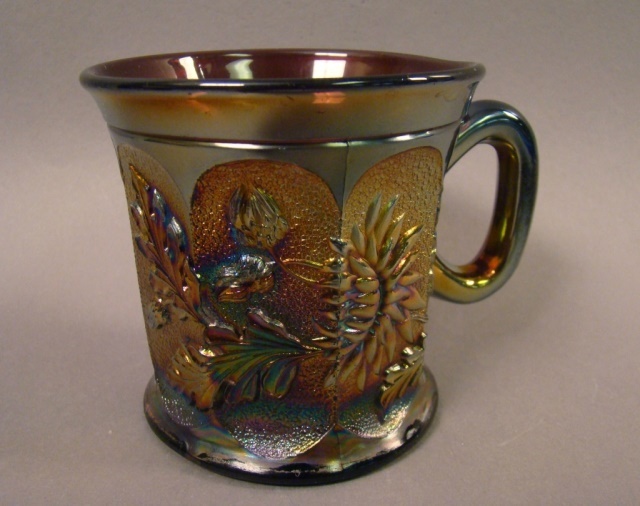 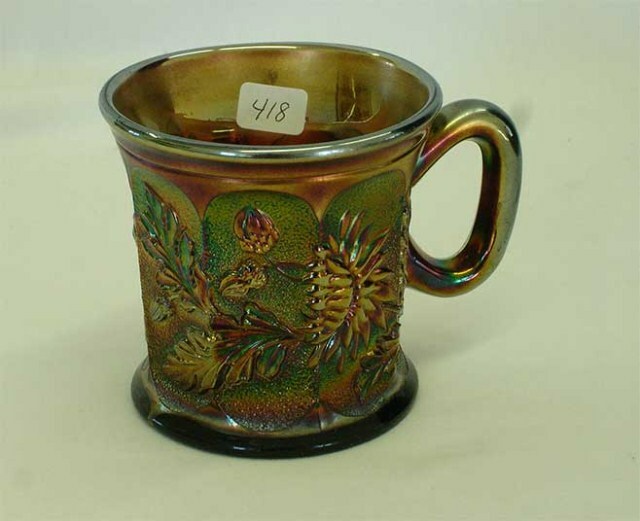 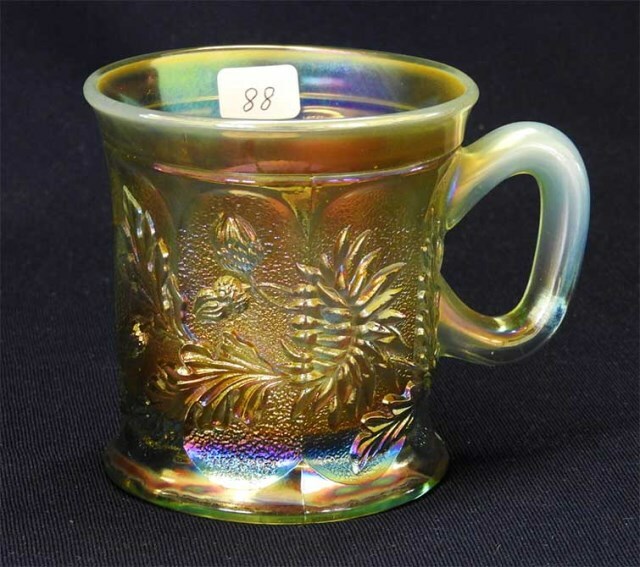 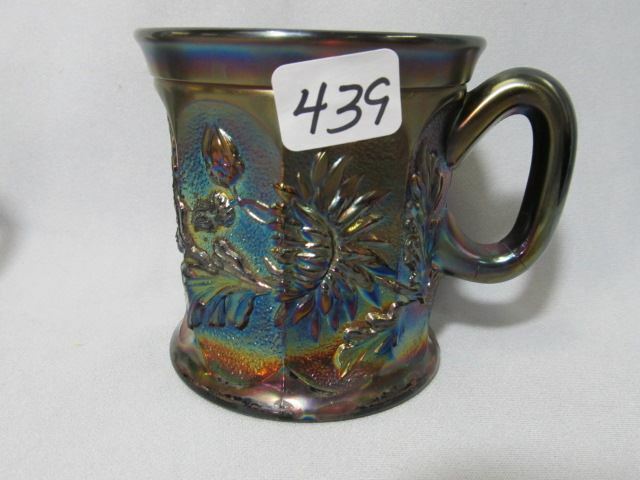 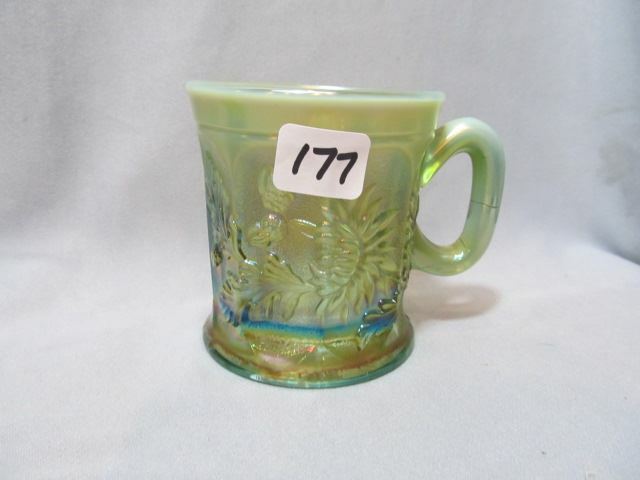 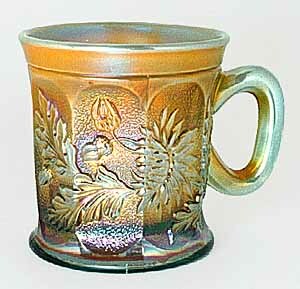 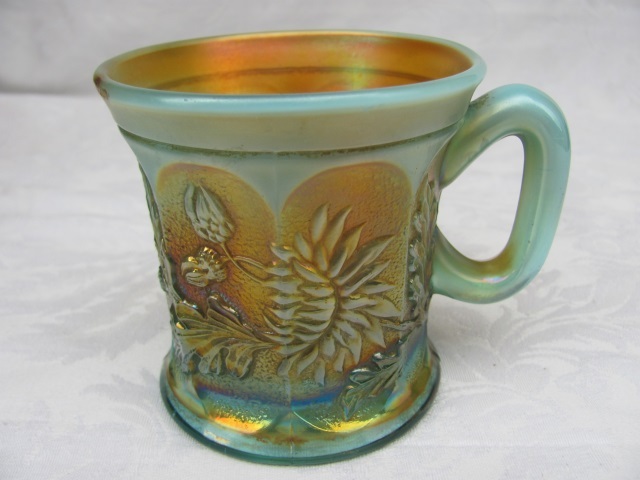 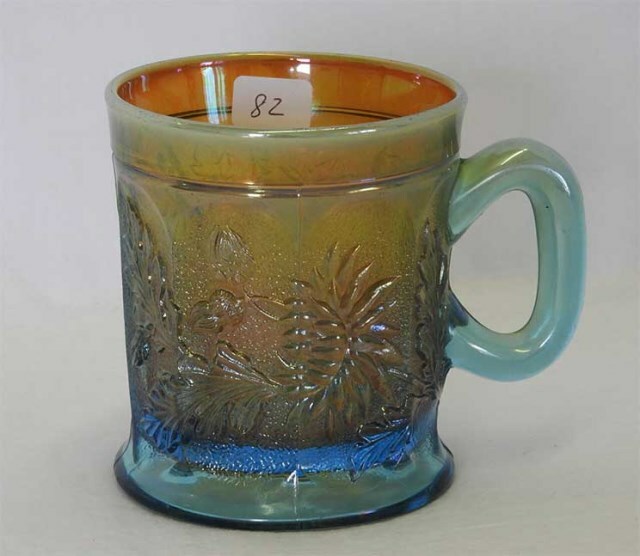 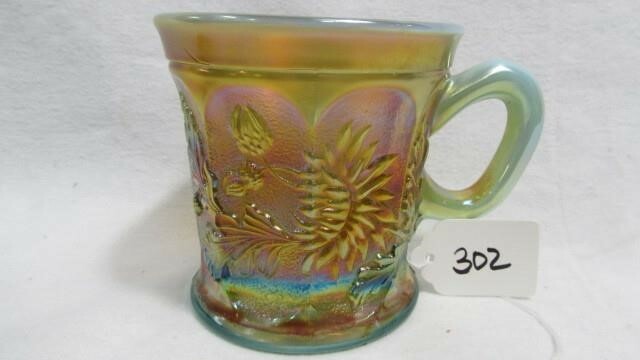 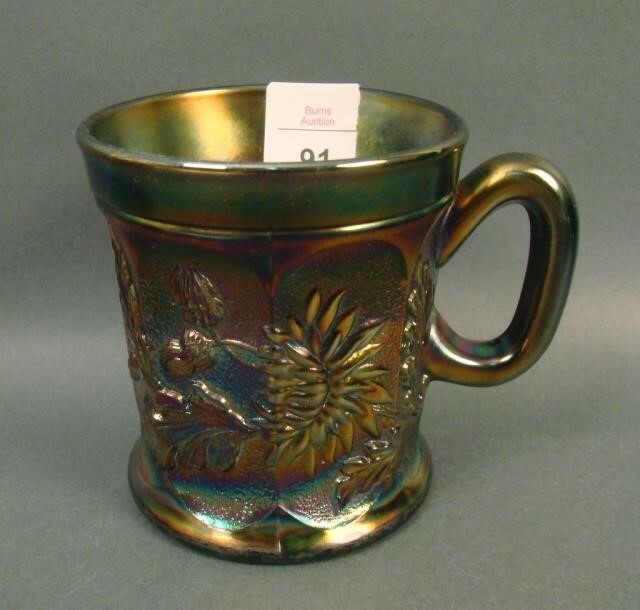 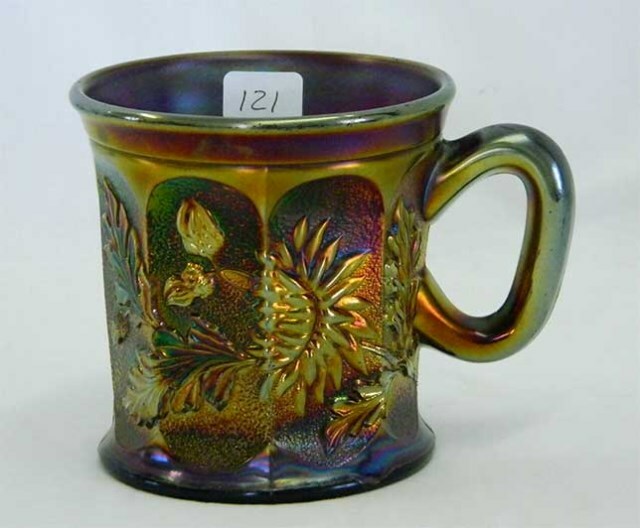 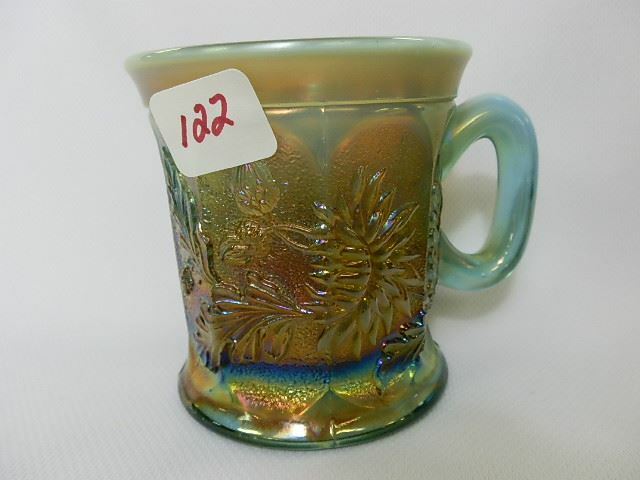 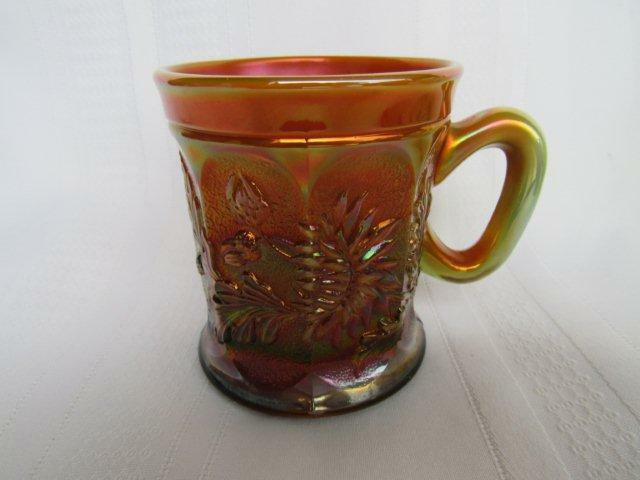 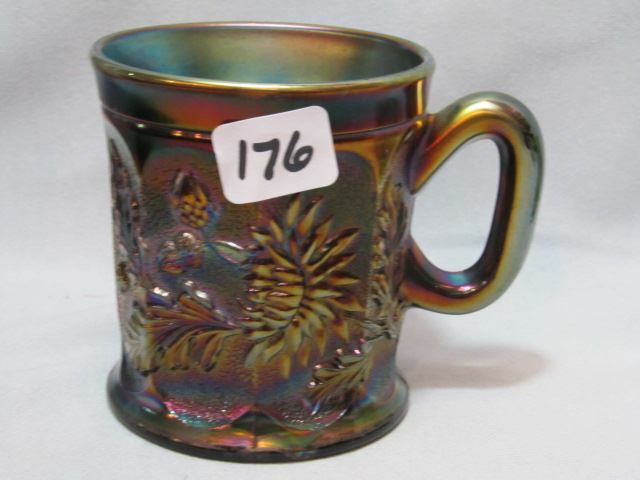 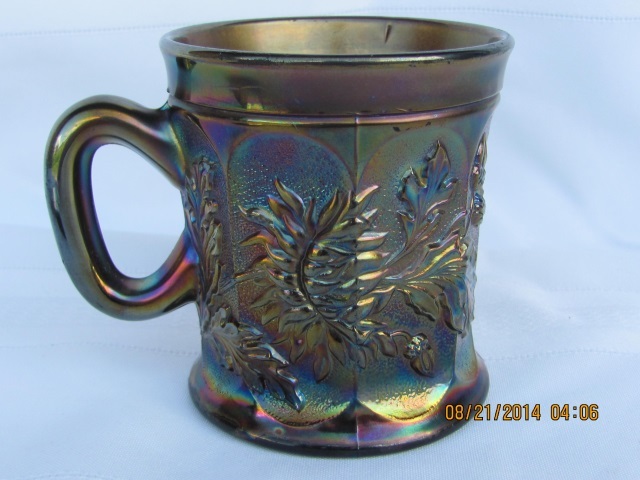 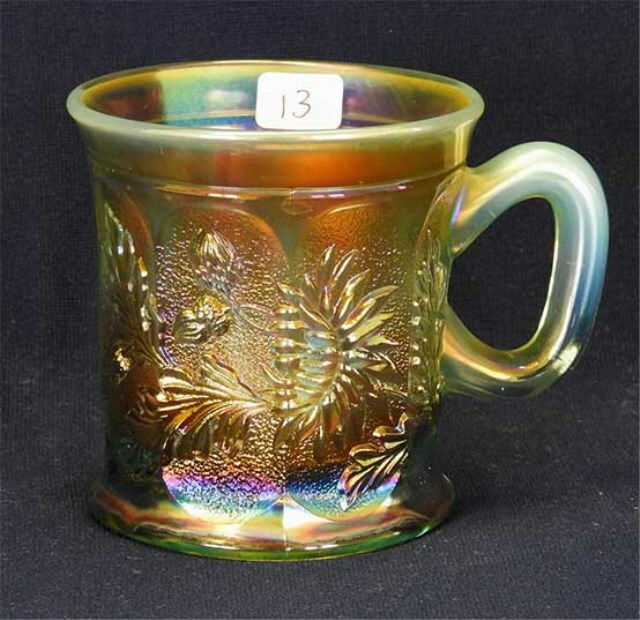 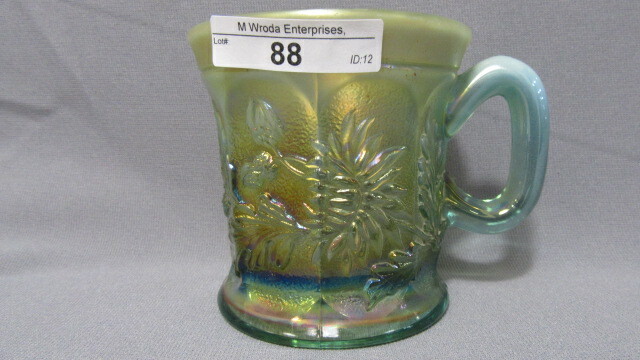 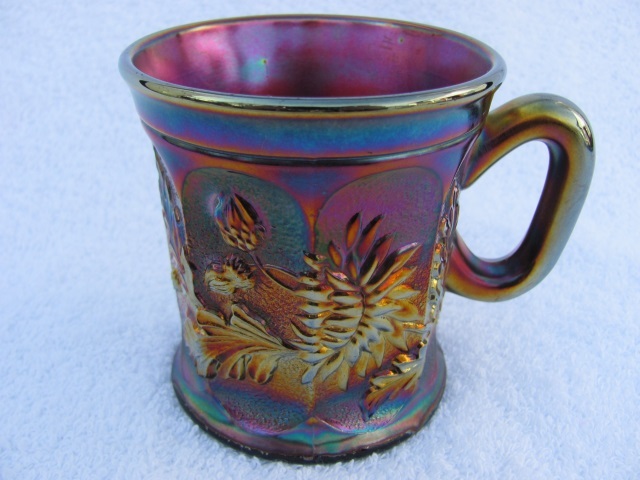 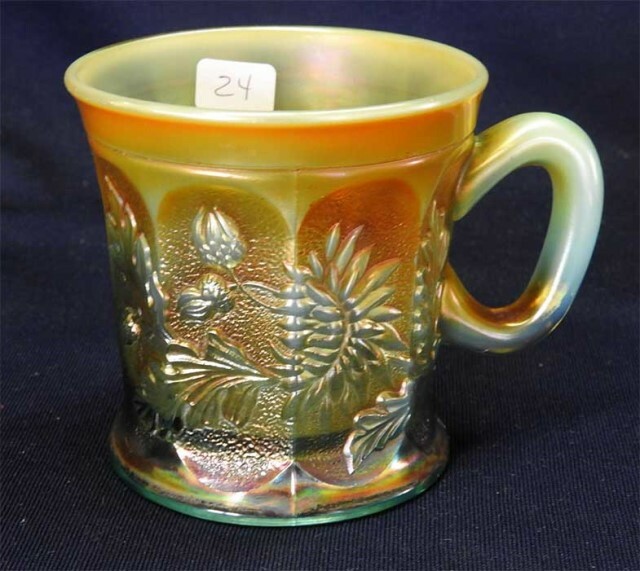 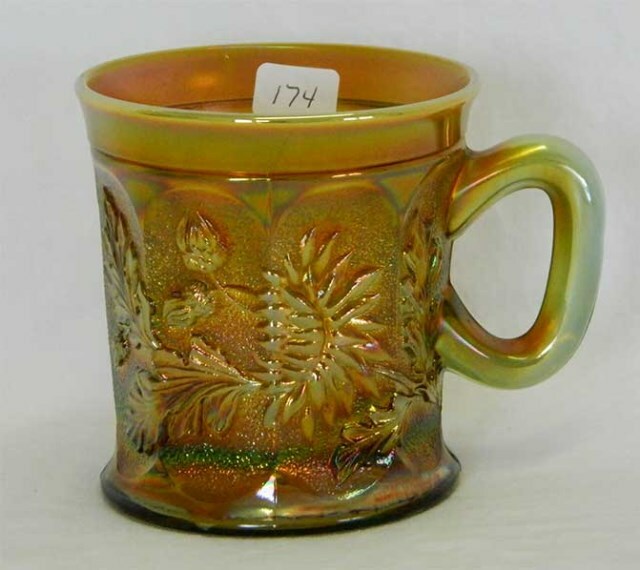 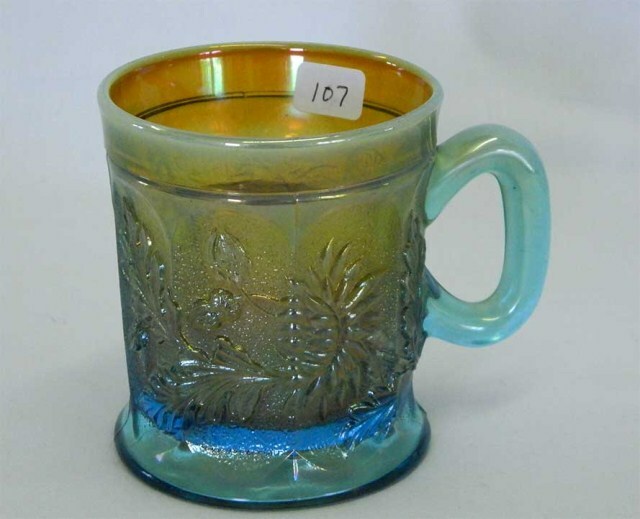 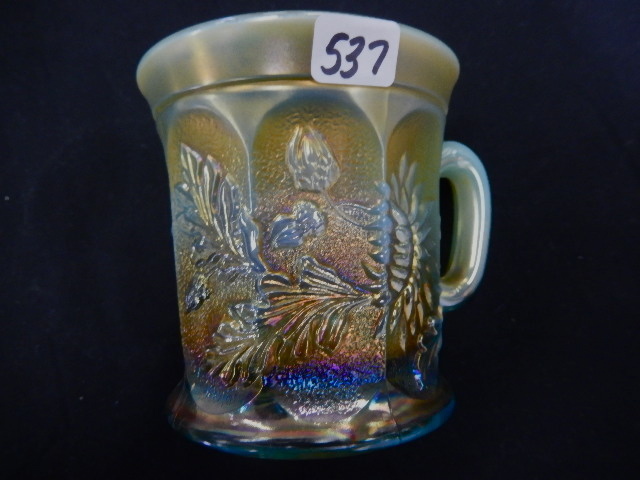 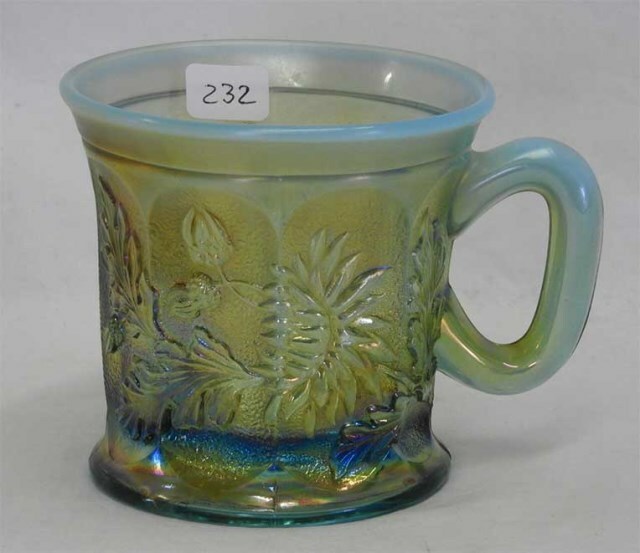 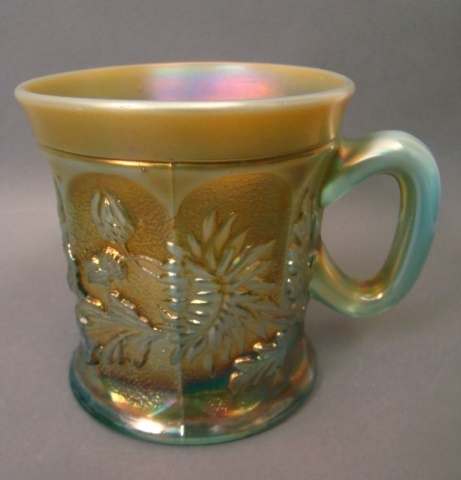 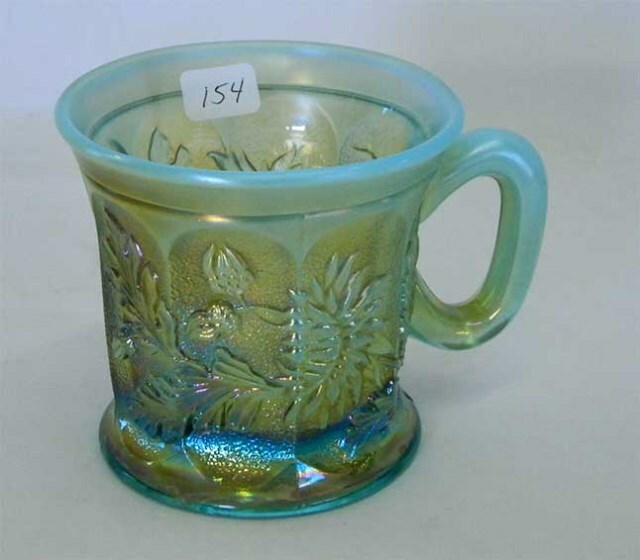 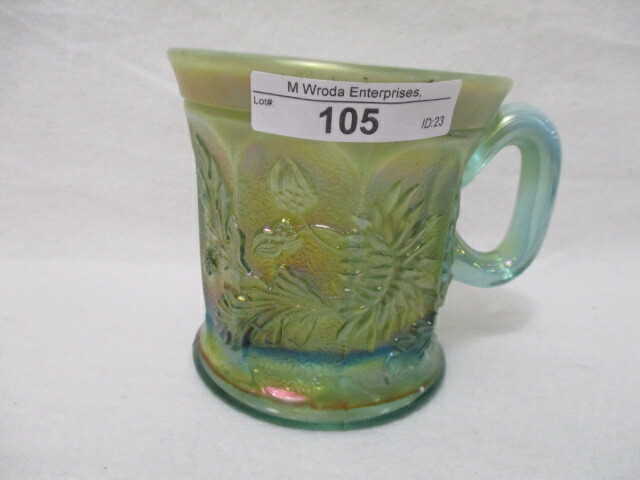 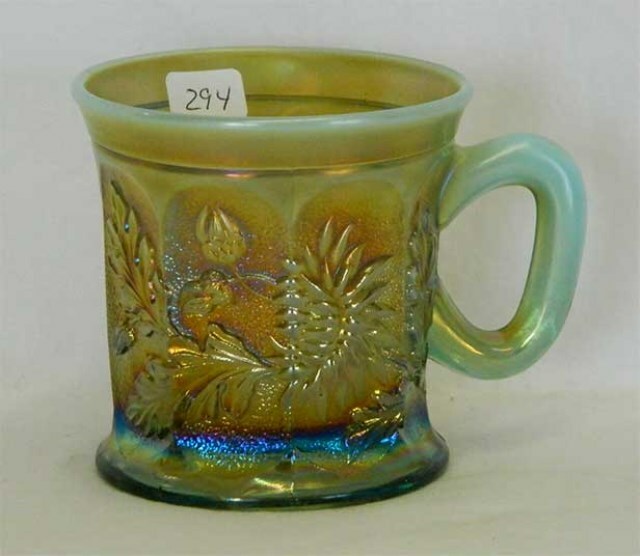 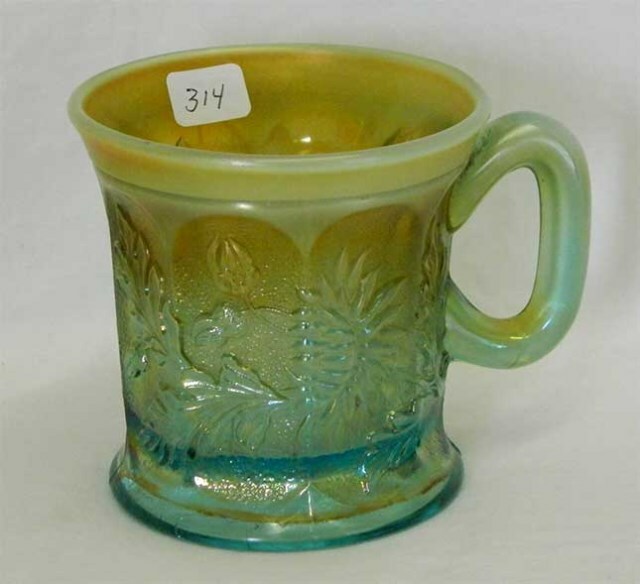 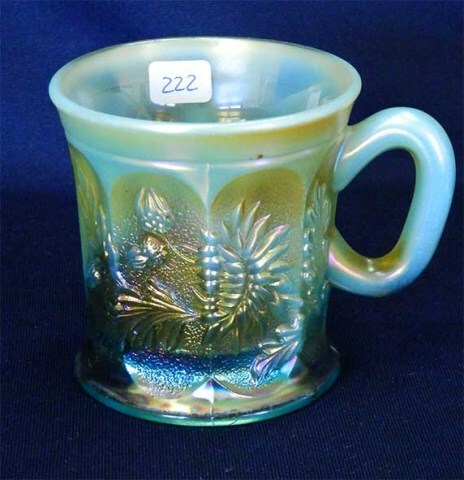 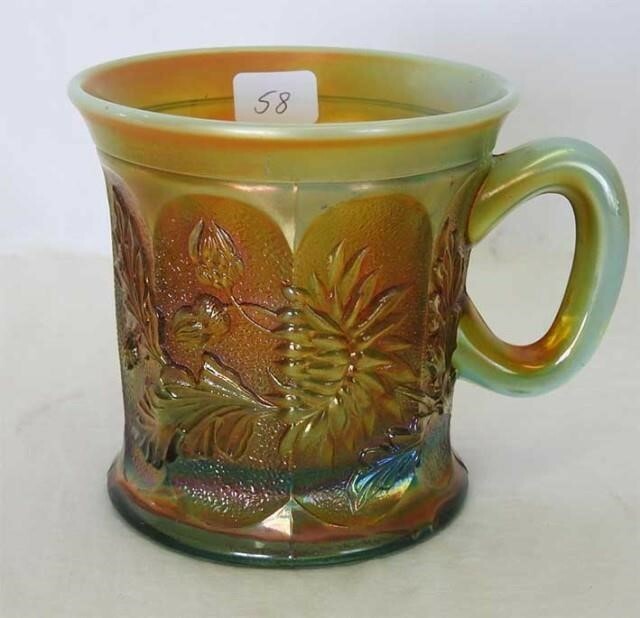 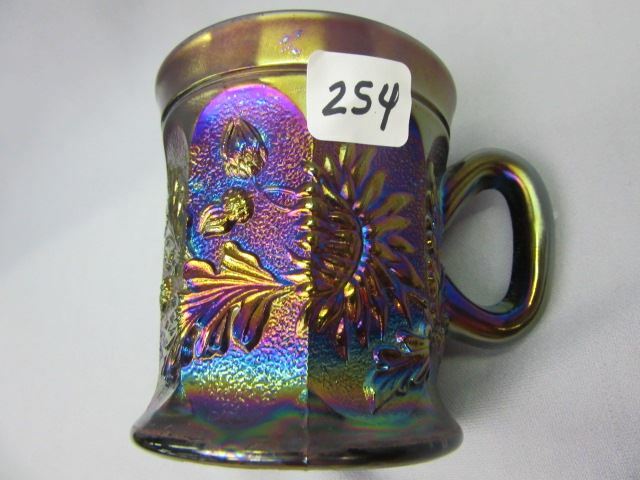 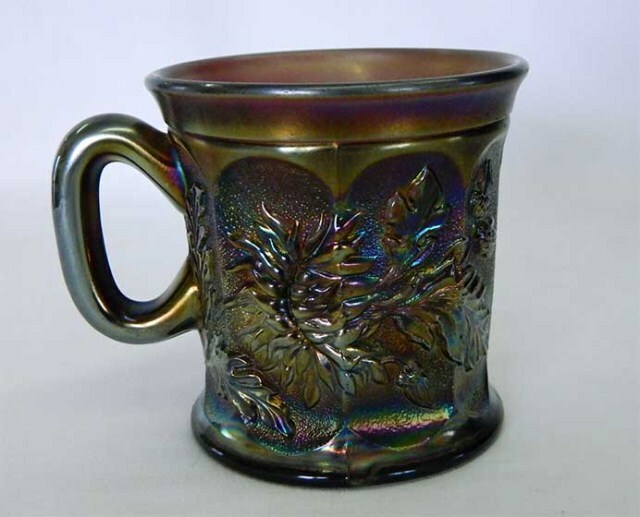 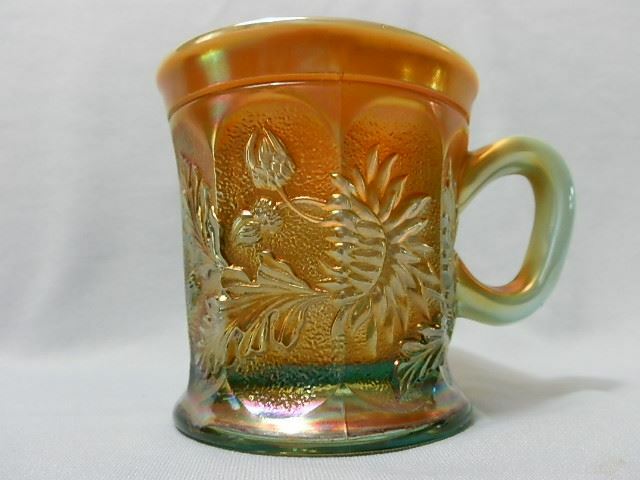 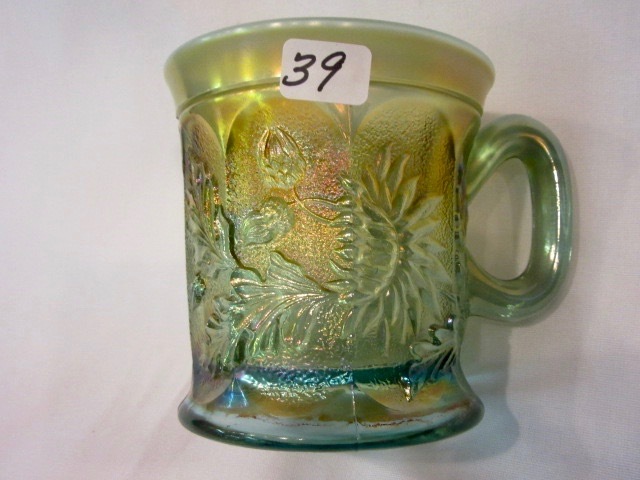 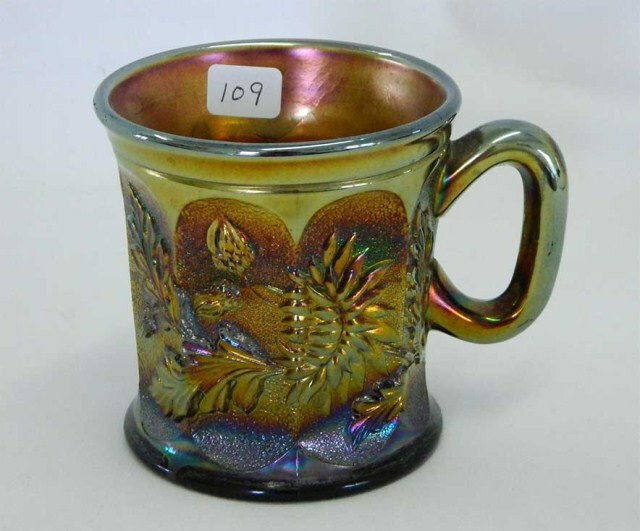 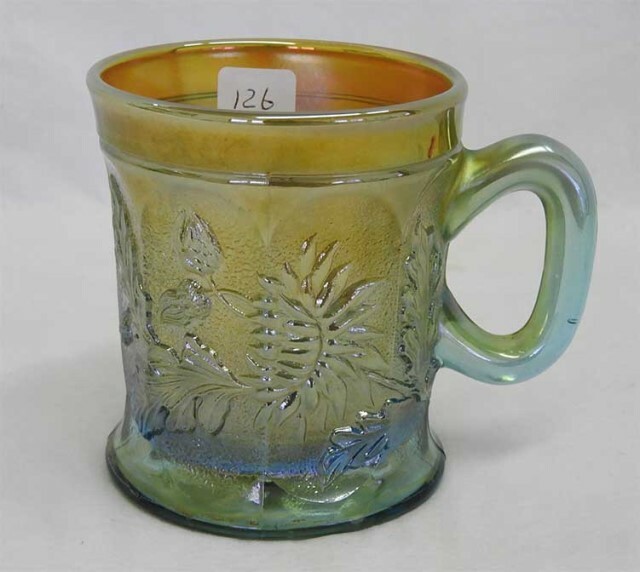 Aqua opal is the most often seen color, and there are more mugs available than either pitchers or tumblers. 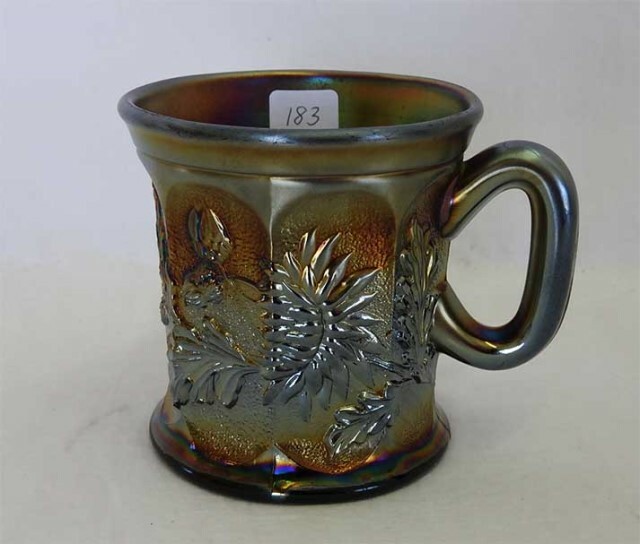 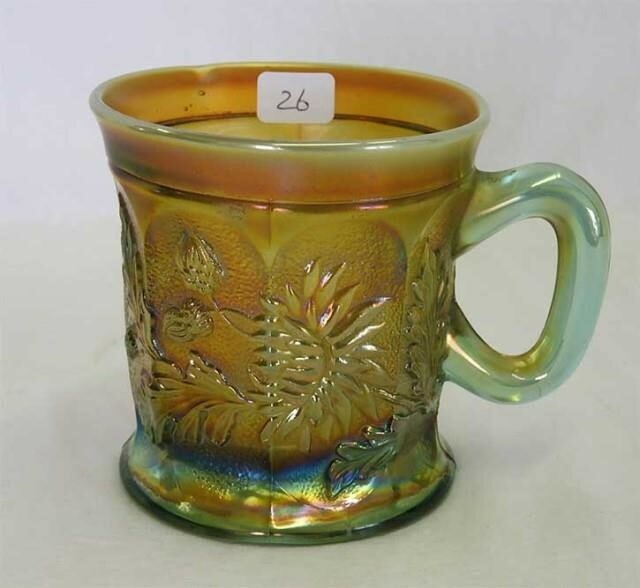 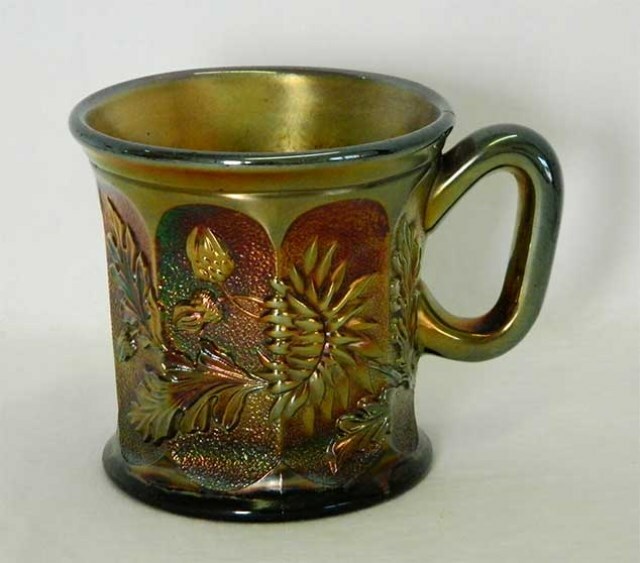 Northwood made some of these mugs with the words “Knights Templar” molded into the base bottom and they are found in ice blue, ice green, and marigold.